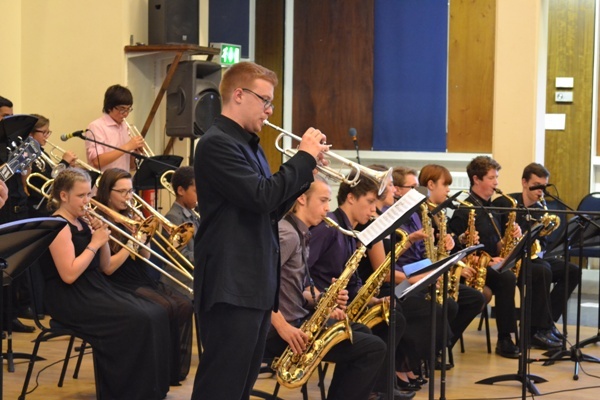 The last night of term saw another terrific Jazz Concert featuring the Big Band led by Tom Gardner (pictured above), the Jazz Band and Junior Impro Group. It was an emotional evening for those jazz students leaving, and we also said goodbye to Head of Jazz Simon Colam and Saxophone tutor Carlos Lopez-Real, with cakes baked by grateful parents. Term is now over – this blog will return in September. Have a great summer.